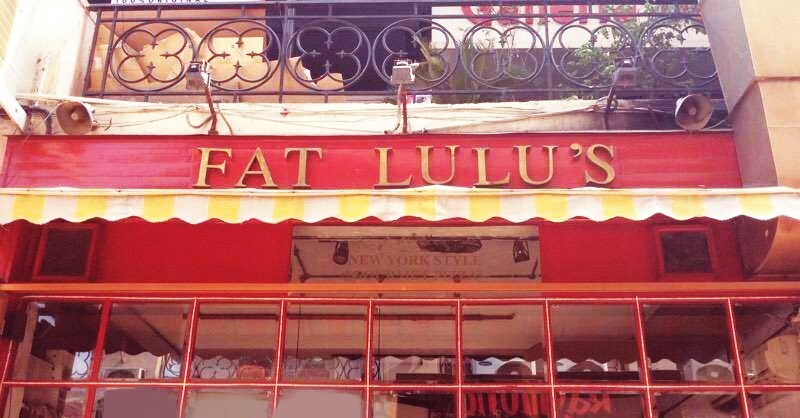 Atmospherics: This is where Fat Lulu’s disappoints. The furniture is like a government school: wooden chairs with not a shred of comfort. Industrial strength lighting more suited to a factory. Rather unappealing pencil sketches of fat women contorting themselves. So it is a bit of a mismatch to see sparkling water by San Pellegrino on the tables! Much better is the service: the staff has obviously been extensively briefed about the menu, short as it is. The Galleria outlet in contrast to the Arjun Marg eatery is warm and inviting, but is only a take-away counter in deference to the customers that want a bite to eat while walking around the courtyard. Table talk: It could be just about any old neighbourhood market, but the menu is fabulously well worked out and some of the pizzas are unmissable. All of them are thin crust: no other option is available. What you can order as an option is a spinach crust, a beetroot crust, Provencal herbs, garlic or a wholewheat crust. The fig-leaf of healthy eating apart, the regular crust has a nice crunch to it, while the top of the crust – the part that comes in contact with the topping – has a pleasant gooiness to it and if you order the oddly named Broadway pizza (Rs 425, 550, 700 for 12 inch, 14 inch or 16 inch respectively) it is as Italian as you can get. The Broadway is the Italian Quattro formaggi pizza, with mozzarella, gorgonzola, fontina and ricotta in it, in as pleasing a proportion as you can find. 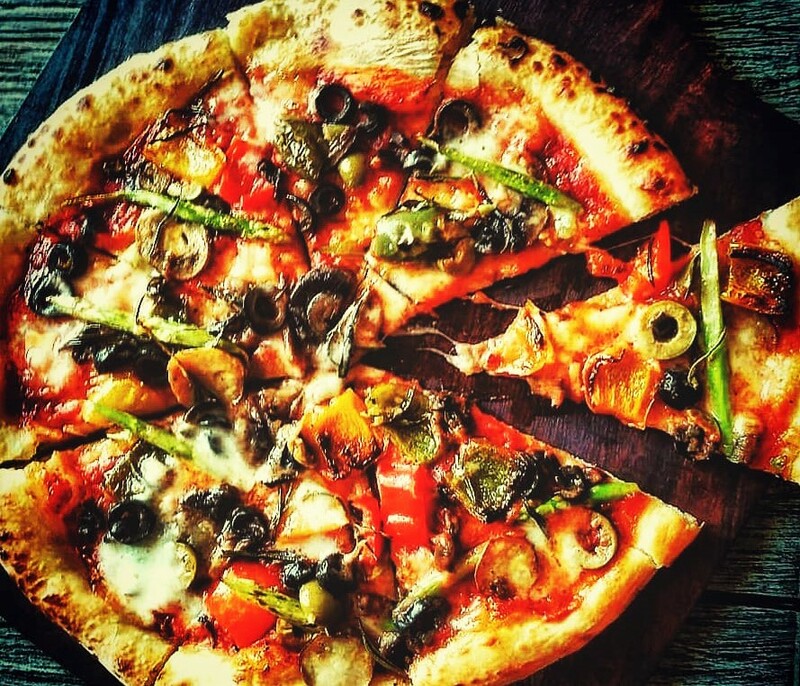 For the rest, the non-vegetarian pizzas include the Upper Manhattan: tomato and sour cream, mozzarella, chicken breast, mushrooms, onions and Cajun spice (Rs 525, 650, 800 for 12, 14 and 16 inch respectively) which is totally American. There are “sandwiches” for clean, non-messy eating available only in the Galleria outlet, and great, filling salads in American portions in the Arjun Marg eatery. Plus and minus: The worst aspect is the uncomfortable furniture, but the strange timings too are inconvenient: 10.30 pm and the restaurant downs its shutters. Reportedly in deference to the neighbouring residences who would be disturbed with a market that bustles with activity till midnight. Do time your visit accurately.